For a contribution of $25, you can sponsor a banded hummingbird and help support our ongoing research and outreach efforts. 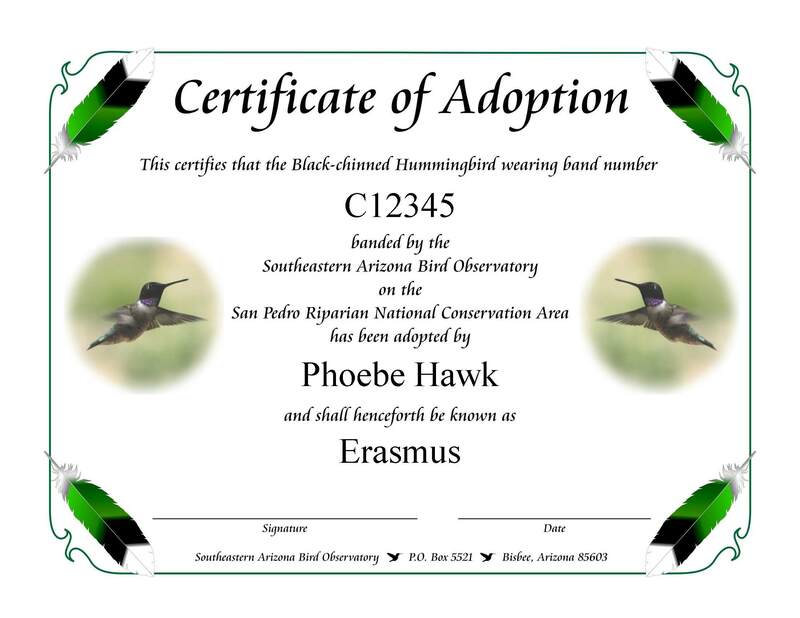 Each year, SABO’s banding team bands hundreds of hummingbirds along the San Pedro River. Some are just passing through, while others will be encountered many times over long life spans. Every encounter adds to our understanding of their lives and the challenges they face. You can share the thrill of discovery with us and help support SABO’s research and education programs by sponsoring a banded hummingbird. Adopt a hummingbird for yourself or designate the adoption as a gift for a loved one, friend, colleague, or school class. 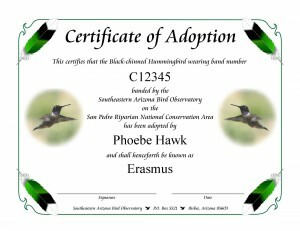 Hummingbirds may be adopted online (by clicking one of the boxes below) or in person at banding sessions (April-May and July-September; see the Calendar of Events for upcoming dates).